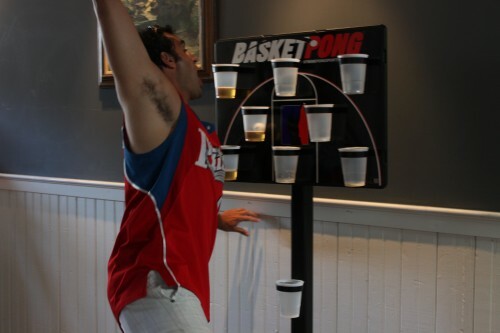 Being an avid (and sometimes accomplished) beer pong player, I was delighted when The Alcohol Enthusiast received a BasketPong set to try out. 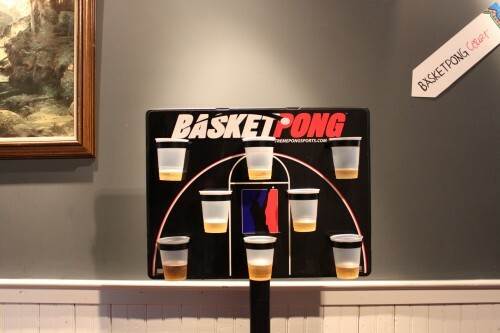 As you can see in the photo above, it’s essentially the love child of basketball and beer pong. To effectively test it out, we obviously needed more than just Josey and I, so we featured it prominently at our recent Camp 77 party. Within minutes of me setting it up, the game was a hit with people lining up to play. 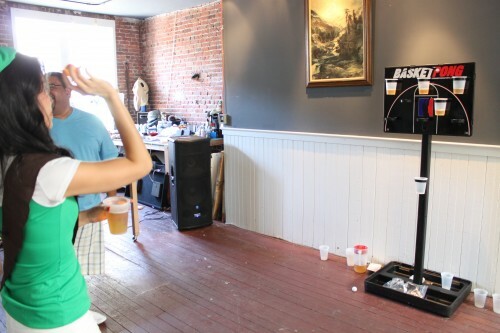 The basic gameplay is the same as beer pong. You get to throw two balls per turn at a series of cups about 8ft away. We only have the half-court setup, so both teams of two were throwing on the same set of cups. 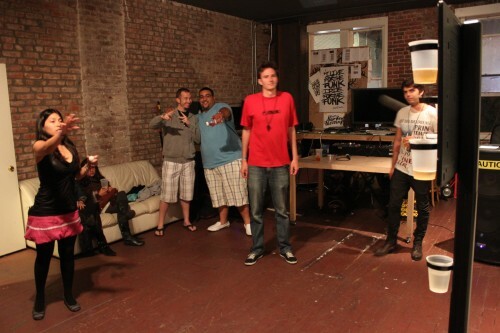 The winner was the team that sank the most cups out of eight. Ties were settled in one-cup overtime. I played a game and found the act of throwing into vertical cups different, but every bit as satisfying as the horizontal layout. As game after game wore on, the players got increasing enthusiastic—to be expected. Dan goes for the dunk. Liv delivers one of her game-winning sinks. Sam looks on with admiration. 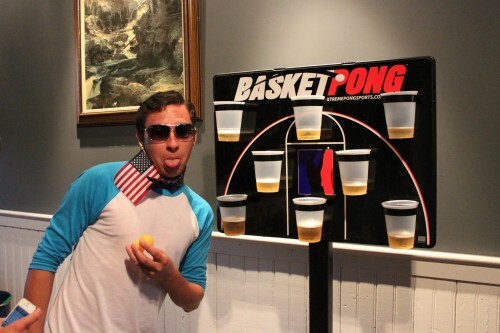 All told, BasketPong was a great success. Definitely a party-pleaser and something we can’t wait to bust out at future events!